It’s hard to beat live bait when your fishing for Crappie or any species of fish for that matter. Live bait is what it is, Live bait. It’s normal for fish to seek out shad, minnows, larva and insects in a constant search to fill their appetite. As a live bait angler, most fisherman find it hard to keep live bait alive and lively in all weather conditions. 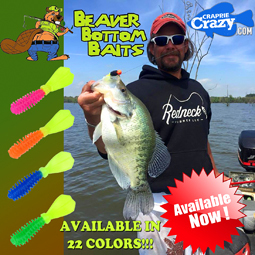 That’s where this new product is a must for live bait Anglers! 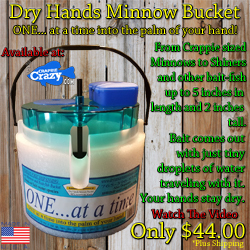 Keep Minnows, Night-crawlers, Red-worms, Wax-worms, Spikes, Leeches, Crayfish and/or Shrimp alive. bait alive, even on the hottest days! Most bait and baitfish can’t live very long in temperatures above 67 degrees. The Bait Bag is designed to keep the water temperature and bait from 55 to 63 degrees for the entire day. It’s convenient to carry, with handles and a shoulder strap included and keeps your unused bait alive for the next fishing trip. The Bait Bag is currently available in two sizes, the Original and The King. The Original Bait Bag offers a convenient zipper top bag with 1 – 3/4 gallon hinged lid pail, 1 – 11 oz. hinged lid container, 2 – Re-Freez-R Brix and 1 mini aerator that runs 20+ hours on 2 AA alkaline batteries. The King Bait Bag is a larger version of the Original and offers a upgraded 2 speed aerator that runs on two D batteries or a 12 volt adapter can be used. The King offers 1 – 2 gallon hinged lid pail, 2 – Re-Freez-R Brix and 2 – 11 oz. hinged lid containers. 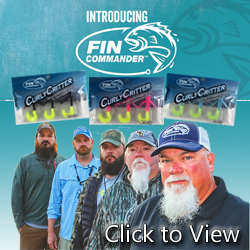 In addition each bag offers pockets on the side of the bag for hooks, floats or other small packs of fishing tackle.